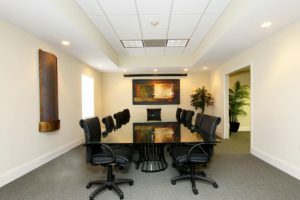 If you’re looking to buy commercial real estate or lease commercial space, you’ve come to the right place. MacRo provides expert representation to both buyers and tenants during the purchase and leasing processes. We’ve been successfully representing buyers and tenants in Frederick County, Maryland and the surrounding mid-Atlantic region for more than 25 years. As your advocate, we will facilitate smart investment and leasing decisions via thorough due diligence, deep market research and skillful and experienced negotiation. Quickly understanding your needs and goals and then defining realistic objectives for your property search is our first priority. You’ll get to know us. We’ll get to know you. And then our team will start a targeted, efficient search for the commercial property that suits your investment needs or the needs of your business and employees. We’ll be there when you tour a property to make sure you ask all the right questions, identify potential issues and pinpoint possible hidden opportunities. Then we’ll hit the property research hard, blending local know-how, document review and data analysis to see if the property is the right fit for your portfolio or business. When we locate the right commercial property, you can rest assured that we’ve been negotiating smart transactions for more than two decades. We can negotiate the right contract for you with the best terms possible. This is what we do. We understand risk mitigation is a top priority for your investment strategy or business plan. A bad lease or poorly negotiated purchase can impact you or your business for decades. That’s why we never close just for today—we close for the here and now and for years to come. A partnership that began in the 1950's grows to 27 over time: Learn how MacRo helped them to evaluate their options and develop a plan that satisfied all parties.